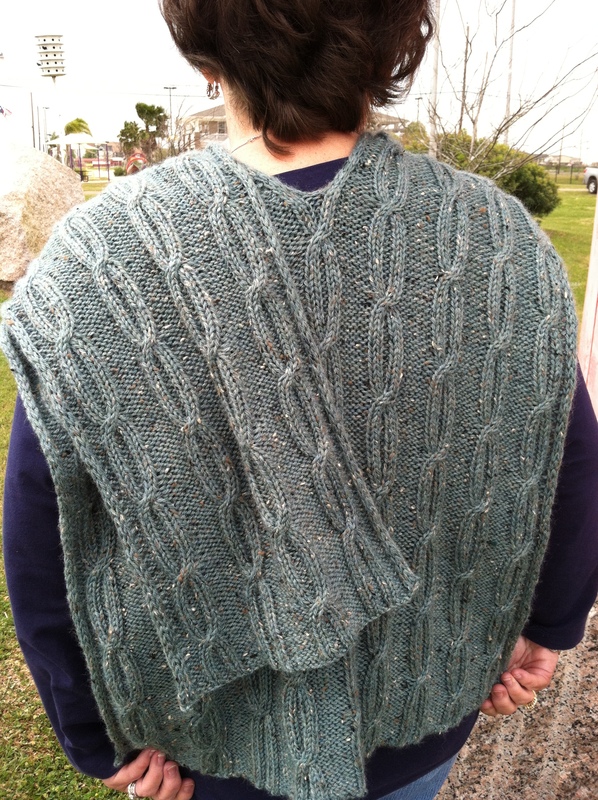 Back in May, my mother and I drove to Sabine Pass, TX to take pictures of the two Sabine Pass wraps that I had knitted from Knit Picks. The blue one is my original. 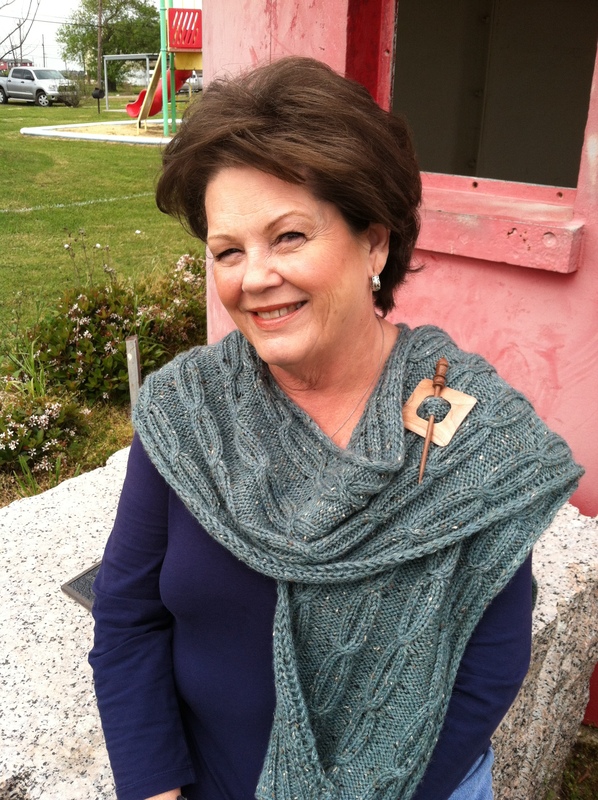 It is the one I knitted, while writing out my pattern. The orange one was knitted as a sample for Knit Picks. This wrap is the perfect accessory to wear when it’s windy and chilly, which made me think of walking on a beach while I was designing this pattern. For this reason, I named this wrap “Sabine Pass”, which is located on the Texas-Louisiana border. Sabine Pass is a natural outlet of Sabine Lake into the Gulf of Mexico. 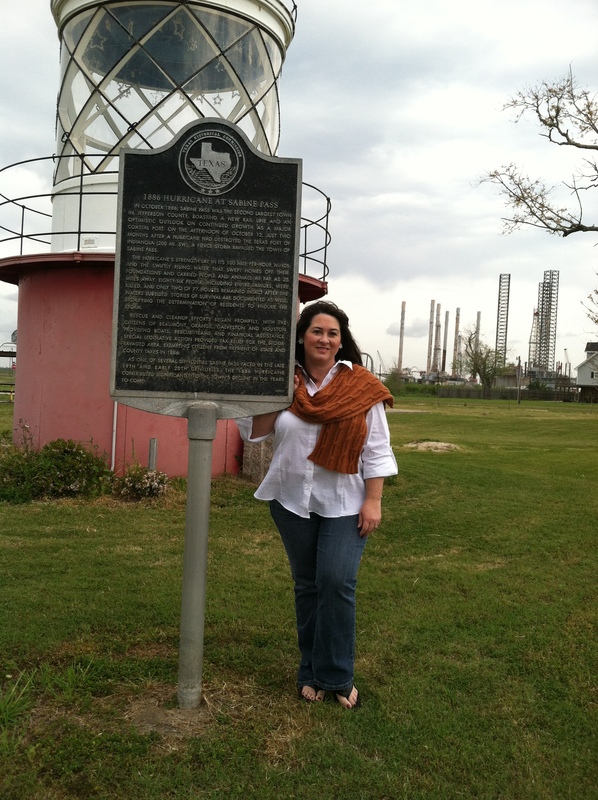 This is the site of two American Civil War battles and where the Sabine Pass Lighthouse used to be located. The lighthouse was built in 1857 and was lit for 95 years. The Coast Guard shut down the lighthouse in 1952, due to modern technologies. Unfortunately, the old lighthouse was destroyed by a marsh fire in 1976. 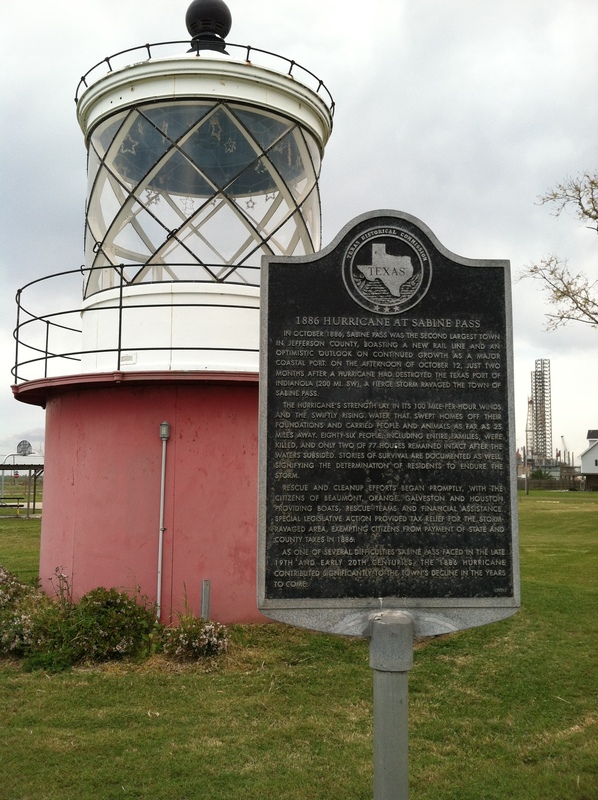 There isn’t much left to see in Sabine Pass these days, but we were able to find a cute little park that had a replica of the old famous lighthouse, so we chose that as our location. Below are just a sampling of photos we took that day. Knit Picks took their own photos, which turned out beautifully. I’ve published my second sock pattern! I named them The Stars at Night, keeping with my Texas theme, and because the texture looks like little stars to me. 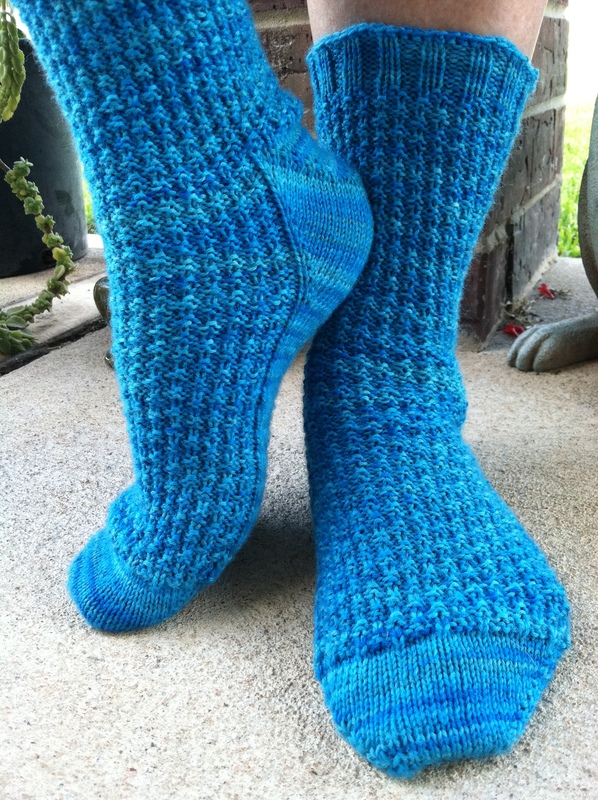 They are knit in Knit Picks Stroll Tonal and the color is called Blue Yonder. They take one skein and are knit from the toe up. They were designed for a lady’s foot, but the texture is really stretchy, so by adjusting the length of the sock, I believe they will fit most men. The sock was tested on Ravelry. My testers were Midnight27, WoolenHorse, wgsdkaos, lhensley and Nascar2448. Thank you testers! Also, a thank you to my mom, who modeled the socks for me. Thanks Mom! 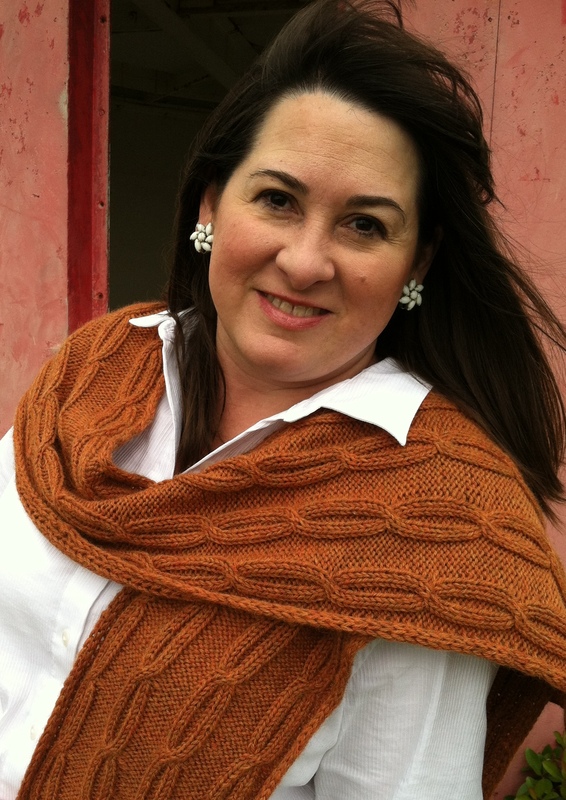 The pattern was submitted to Knit Picks and has been chosen for the Independent Designer’s Program. 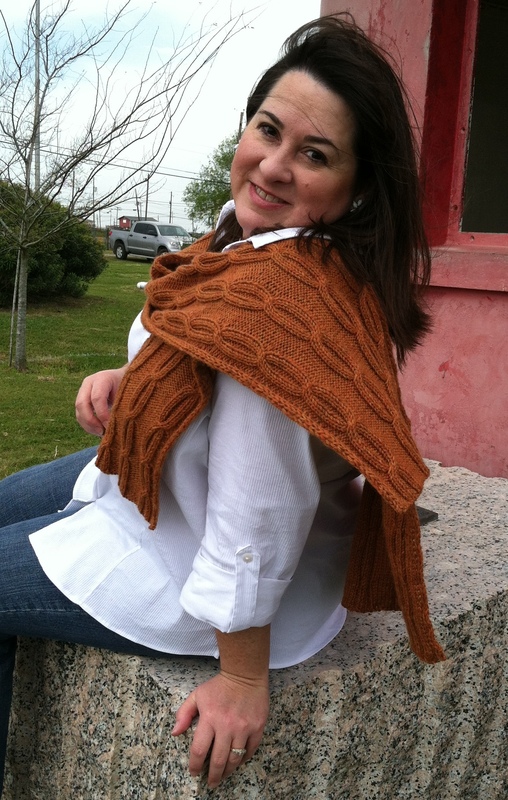 A sample has been sent in to Knit Picks and the pattern should be available on their site within the next month. 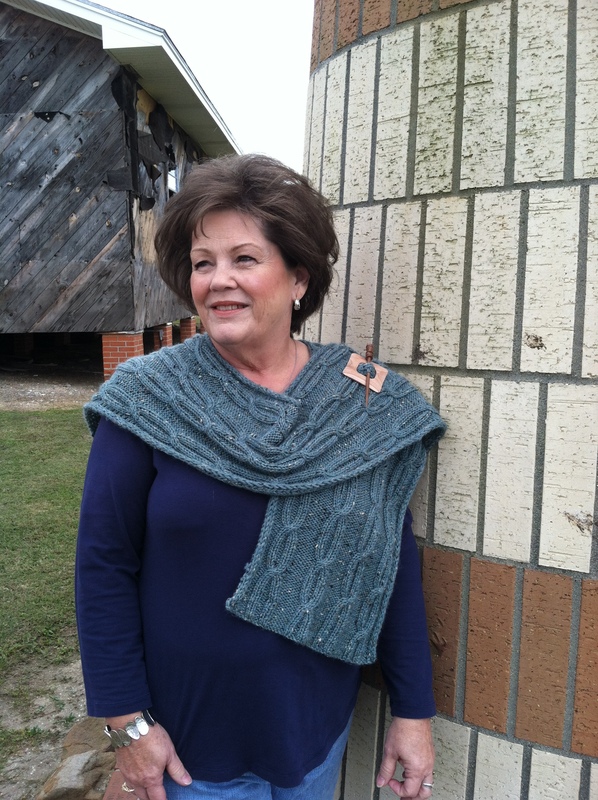 If you can’t wait until next month, the pattern is now available on Ravelry.